(Clearwisdom.net) On Thanksgiving Day, November 27, 2003, the 54th annual grand parade was held in Houston. 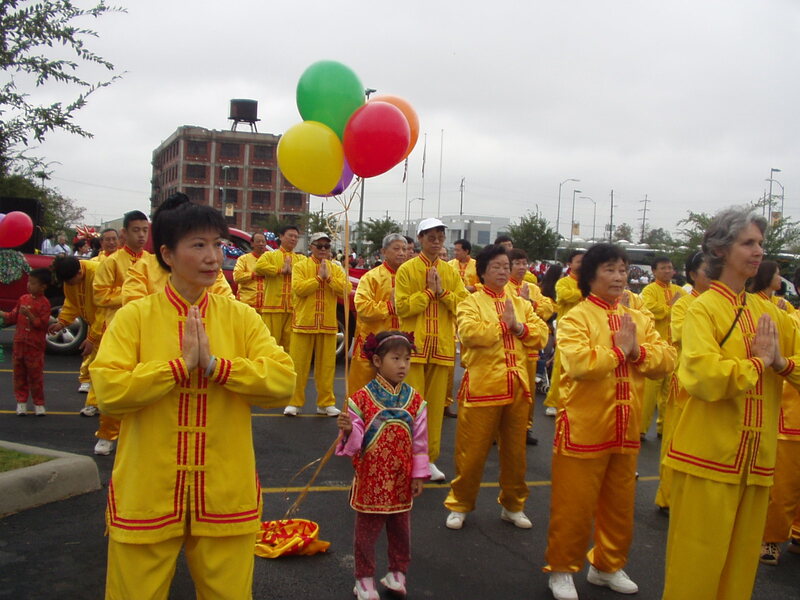 Falun Gong practitioners were invited to participate again this year. To celebrate the holiday, many citizens of Houston came to see the parade, including many from surrounding cities in spite of the arrival of cold weather. About 100,000 people gathered along both sides of the parade route. The parade organizer, Washington Mutual Bank, planned this parade carefully. There were extravagant floats, giant helium balloon cartoon figures, bands, famous singers, guards of honor, school bands and various performance teams from different cultures. The procession of more than one hundred Falun Gong practitioners was especially spectacular. 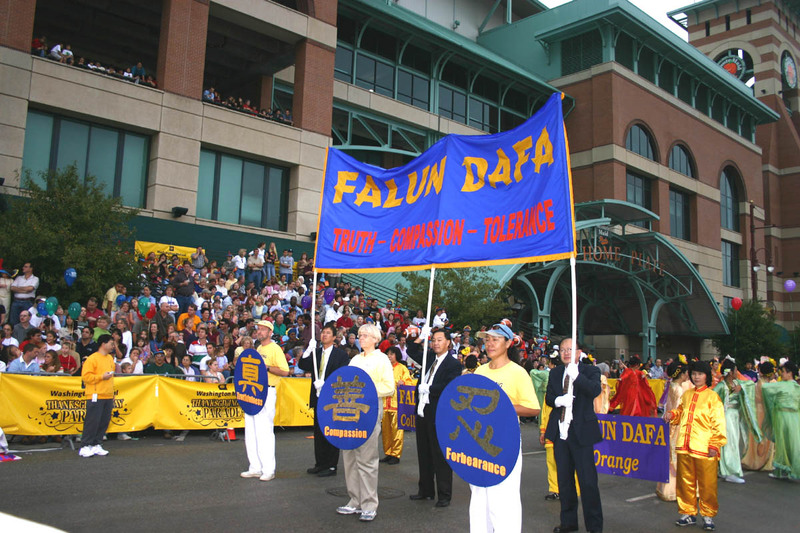 In the front and rear of the procession, Falun Gong practitioners held high banners on which "Falun Dafa C Truthfulness, Compassion, Forbearance" was printed. The banners drew the attention of the spectators. Dance teams in Tang Dynasty Costumes and red silk ribbon displayed beautiful costumes and graceful dancing, winning enthusiastic applause. The demonstration of the exercises by Falun Gong practitioners was graceful with gentle, unified movements. The song "Falun Dafa is Good" was played all the way. Reporters and individual spectators took video footage and photos of the tranquil and memorable scene.